Since I stopped eating meat I’ve become a huge fan of Quorn, it’s so versatile and really delicious. 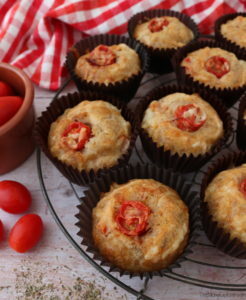 I’ve made these Vegetarian Mini ‘Chicken’ & Leek Pies three times now, and I can’t get enough! The pastry is so simple to make, with no blind baking needed, and bakes to a gorgeously golden and crispy finish. The filling is creamy and indulgent, and full of flavour from the herbs. They can be served hot or cold, I’ve enjoyed them hot with mash and gravy and I’ve also served them cold at parties where they haven’t lasted long! To make the pastry I rubbed together the plain flour and butter with my fingers until it looked like breadcrumbs. To make the filling I heated up 1 tsp vegetable oil in a pan and fried the leek until it had softened. I added the Quorn chicken pieces, and let them cook for a 2-3 minutes. Then I poured in the double cream, dried thyme, dried rosemary and salt. I mixed it together and let it cook for 5 minutes. Then I took it off the heat, transferred it to a bowl and let it cool down fully. I rolled the pastry out onto a floured surface and cut out the pie bases using a 10cm round cutter. Then I re-rolled the dough out and cut out the pid lids using a 7.5cm round cutter. I also used a round fondant plunger to cut out little circles in the middle. 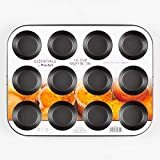 To make sure the pies didn’t stick, I greased a muffin tin and lined each hole with strips of baking paper, and I filled it with the pastry bases. Then I filled each base with the filling, then brushed some beaten egg around the edge and stuck the lids on. I brushed more beaten egg over the tops. They baked for 25 minutes until they were golden and bubbling. I removed them from the tray and let them cool as I served them cold. I got 14 Vegetarian Mini ‘Chicken’ & Leek Pies out of this batch, although there was some filling leftover. It’s always a bit hit and miss with pastry as it depends how thin you roll it, but you’ll get at least 12 mini Vegetarian Mini ‘Chicken’ & Leek Pies out of this recipe. You could push it to 16 if you roll the pastry out thin enough every time and use every last bit. If you have any leftover filling, it will keep in the fridge for a couple of days and it’s yummy with rice and green veg! The Vegetarian Mini ‘Chicken’ & Leek Pies have quite a rustic appearance but I think pies like this should! Their golden colour and tempting filling oozing out of the centre make me want to eat them all up! The Quorn chicken pieces make these pies really hearty and filling, I honestly don’t think you could tell the difference between them and real chicken! I’ve served these to many meat eaters and had fantastic feedback! I’m linking this recipe up with Recipe of the Week hosted by A Mummy Too, Cook Blog Share hosted by Recipes Made Easy, and Cook Once Eat Twice by Searching For Spice. 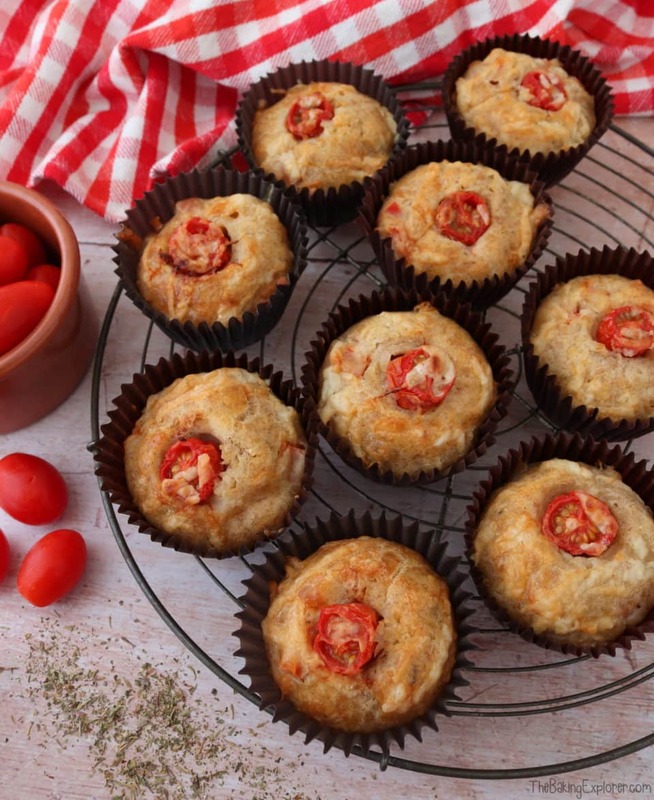 You can find more of my Savoury recipes by clicking here! We had a bit of sunshine in Manchester last week. As we don’t get it very often I always feel a social pressure to get out there and spend time in the sun, sit in a beer garden, enjoy it while it lasts etc. Well folks, I don’t like being out in the sun. That’s right! I’m ginger and pale, and sunshine is not my friend. Don’t get me wrong, sunshine is beautiful! It makes the world look so pretty, and I’ll quite happily gaze at the beautiful sunlit world… (through sunglasses while sitting in the shade). I always feel like a minority when I dare to voice this opinion, and I probably am, but I enjoy sunny days in my own way and I’m happy with that. Sometimes you just have to go with how you feel and what makes you comfortable, no matter what everyone else is doing. Making these Cheese, Sundried Tomato & Pesto Scones and drinking cold cider in my flat with the windows open is how I chose to enjoy a sunny day recently. They are a combination of some of my favourite savoury flavours and to me they scream summer. They would be great at a picnic out in the sunshine…if you enjoy that kind of thing! In a bowl I whisked together 100ml milk, 70g pesto and 1 egg. In a second bowl I mixed together 250g self raising flour, 1 1/2 tsp baking powder and a pinch of salt. 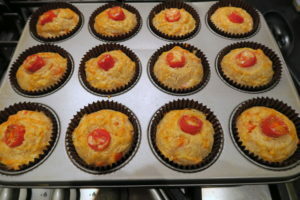 I added 150g grated mature cheddar and 60g sundried tomatoes. Then I used kitchen towel to soak the oil from the tomatoes first then cut them up using scissors. 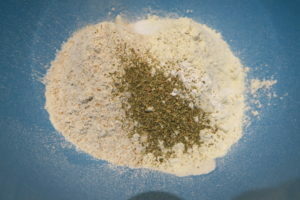 I poured the pesto mixture into the flour and made a dough. I patted it down to about 1 inch thick, then cut 7cm rounds out of it. Reshape the dough and cut out more rounds until it’s all used up. Then I placed the rounds onto a lined baking tray and brushed them on top with beaten egg. I baked them on 180C/160C Fan/350F/Gas Mark 4 for 20 minutes and until they were golden brown. The scones are extremely moreish and perfect warm with butter! They also pack up great for on the move, lunches and picnics. The pesto really comes through and is a perfect match for the cheese, and the sundried tomatoes add extra fruity flavour. I’d love to try these with chutney on and even more cheese! I am always looking for ways to use up leftovers as food waste is something I really can’t stand. Did you know that we throw away 7 million tonnes of food every year? Reducing food waste not only helps the environment, but it helps your bank account too! We’re so lucky to have access to food whenever we need it that most people forget it isn’t like that everywhere in the world. So, I think it’s really important to try not to waste any of it. Joseph Joseph and Love Food Hate Waste have joined forces against food waste this month and in order to help with their campaign I’ve created this Leftovers Savoury Bread Bake, which you can fill and flavour with a variety of leftovers. 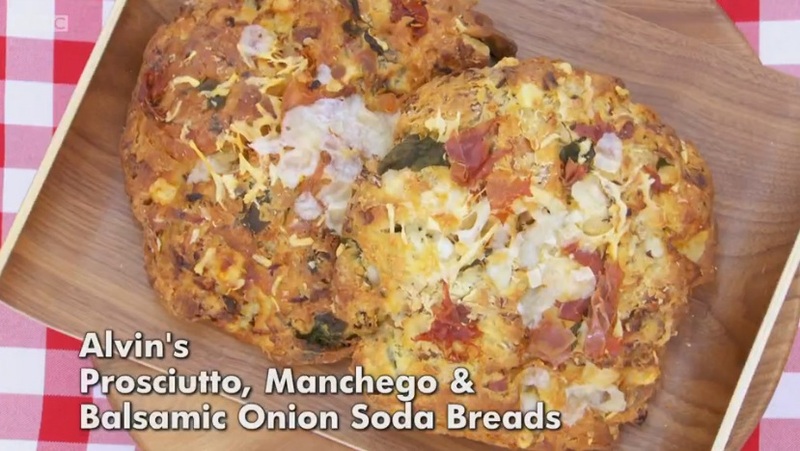 This Leftovers Savoury Bread Bake will also easily feed a family of four. I love Joseph Joseph’s Nest Storage Set for storing leftovers in. They are space saving in your cupboard when they are not filled with leftovers as they all stack into each other. They come in sizes perfect for taking your lunch into work, storing cupcakes and biscuits or of course any leftovers in the fridge! Plus they’re colour coded so you can quickly match up the tubs to their lids. The leftovers I had in my fridge were half an onion, a red pepper and about 8 cherry tomatoes. You could also put other veg in this like mushrooms, leeks, courgettes or aubergine. And if you’re a meat eater, any leftover meat like chicken, chorizo or ham would work well. I pre-cooked my onion and pepper in some olive oil and garlic. I’d advise pre-cooking any veg you decide to use. I sliced 5 slices of bread into diagonals, buttered each one, and arranged them neatly in my dish. I used my Berndes 27x18cm dish. 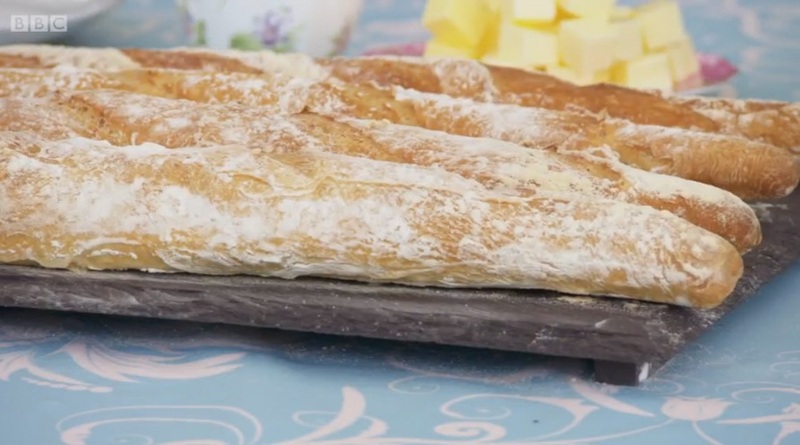 The crust of the loaf is perfect for this recipe and often gets leftover. I whisked up eggs, semi skimmed milk and double cream. If you don’t want to add the cream, just replace it with more milk. I also added mixed herbs and salt. You can add your favourite spices or herbs to flavour this to your taste. I spooned the cooked veg in between and around the slices of bread, I then added the cherry tomatoes which I sliced in half. 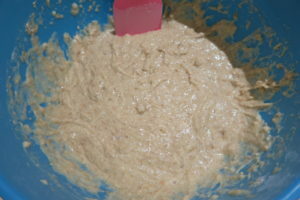 Next, I poured the egg mixture into the dish and left it to soak into the bread for 5 minutes. Finally I sprinkled over mature cheddar, and popped it into the oven on 180C/160C Fan/350F/Gas Mark 4 for 40 minutes. I left it for 10 minutes or so, as it sets better together, a bit like a lasagne. Then I dug in! This Leftovers Savoury Bread Bake is great served with salad, fresh spinach or any green veg like broccoli. The Leftovers Savoury Bread Bake was so yummy! I loved the soft eggy bread and vegetables, but then the crispy cheesey topping was equally as satisfying. This Leftovers Savoury Bread Bake is a fabulous way to use up lots of different types of leftovers and feed hungry family and friends! Ever since I saw Nancy Birtwhistle at the BBC Good Food Show I’ve wanted to try out her recipe for a Sage & Onion Tart. As luck would have it, Christmas left me with some onions that needed using up. It also left me with leeks and brie, so I decided to add those in too because yum! This is a great recipe because it’s easy to make, it’s low cost, a vegetarian friendly dish, and it makes a delicious lunch or dinner. 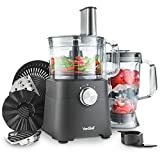 I ate it cold with salad and sweet potato fries, but you could also serve it hot, either way you’re going to enjoy a tasty meal! I recently got sent this quiche tin from Boswells & Co, who are a large department store in Oxford. 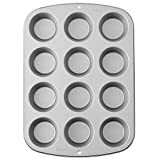 The tin is the 20cm Masterclass Crusty Bake Quiche Tin, which has holes all over it to allow moisture to escape and ultimately aid you in avoiding the dreaded soggy bottom! 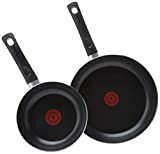 It’s also non stick and comes with a 20 year guarantee, so they must be pretty confident about it’s long lasting ability. I started by making the pastry. I didn’t follow Nancy’s recipe as I have my own pastry recipe that always works for me. I rubbed butter into plain flour, then added an egg. I combined the mixture until it came together into a dough. I wrapped it in cling film and chilled it in the fridge while I got on with preparing the filling. I made less filling than Nancy too as the Masterclass tin is 20cm and Nancy’s recipe was for a 22cm tin. I cooked a mixture of leek and onion (use whatever you have, I had 2 onions and 1 leek) in a pan on a medium heat along with of butter, allspice and salt. Once the onions and leeks were soft I took them off the heat to cool slightly. In a bowl I whisked up eggs, parmesan and single cream. In a food processor I whizzed up the cooked onions and leeks along with single cream. I added the onion mixture to the egg mixture, and then added freshly chopped sage leaves. I set the filling aside while I rolled out the pastry between two sheets of cling film. 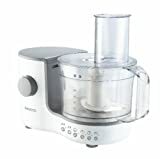 This stops your pastry from drying out, and saves on cleaning up all that flour from the work surface! I lined the tin and trimmed the edges. I baked the pastry case for 10 minutes with baking beans. 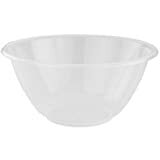 Nancy had a great tip about screwing the baking paper into a ball then flattening it out first, as it’s easier to line the tin with it once it’s been wrinkled. I removed the baking paper and beans and baked the pastry case again for 7 minutes at the same temperature. I filled the pastry case with the filling, then arranged slices of brie on top and sprinkled with some more fresh sage. I baked this for 35 minutes until golden brown. The quiche came out of the tin extremely easily, and the pastry had a lovely golden colour. The quiche was very tasty, with a milder onion flavour than I expected, but I was pleasantly surprised. The melted brie on top was my favourite bit, and the crisp pastry came a close second! This is a very economical recipe due to the cheap ingredients used, and this quiche would feed 4 people. If you’re not a brie fan you could top it with cheddar, or some parmesan. 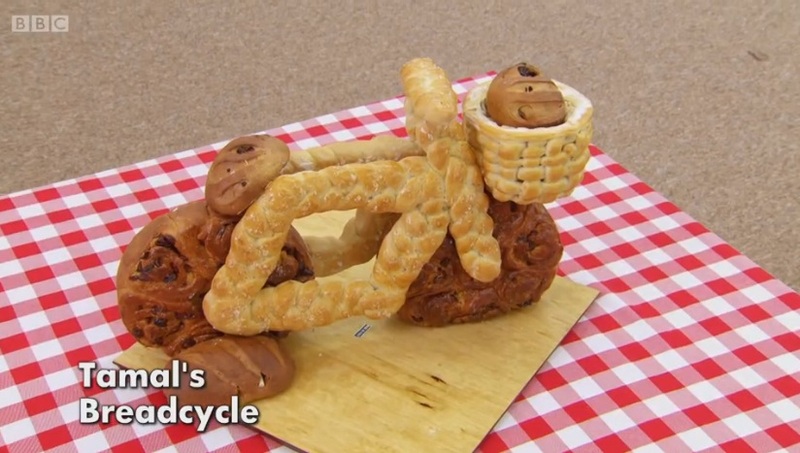 I have to say, bread week on The Great British Bake Off was absolutely phenomenal! The contestants started by making a quick bread, also called soda bread. This is a bread that is made without yeast, therefore requires no kneading or proving. Instead the rising agents used are baking powder or bicarbonate of soda. Mary and Paul warned against using too much raising agent as this would affect the taste of the bread. There were a mixture of sweet and savoury flavours from the bakers. 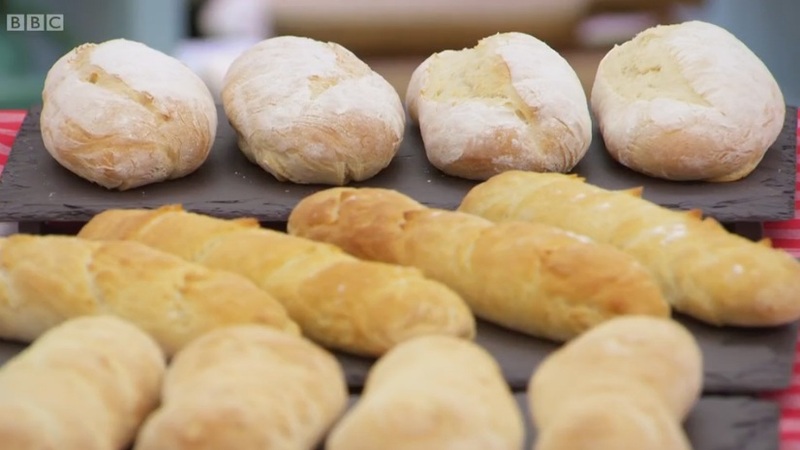 Both Mat and Nadiya made a Mexican style bread, Ian picked wild garlic from some nearby woods for his bread, and Sandy used a family recipe containing bacon that she often makes on trips to Ireland. Ugne went for the sweetest flavour with a chocolate quick bread topped with salted caramel sauce, and Paul made a cranberry and orange quick bread – which he got a Paul Hollywood handshake for! Cheese featured in both Tamal, Alvin and Dorret’s breads. Tamal used goats cheese, Dorret went for Stilton and Alvin chose Manchego. Paul called Alvin’s bread a ‘thing of beauty’. They loved Tamal’s bread too, but weren’t overly positive about Dorret’s. Overall, everyone did fairly well, with only a few disparaging comments. This week’s technical challenge was to make 4 identical crusty baguettes. Of course Paul left out major parts of the recipe, for example how long to prove the dough, and to put water in the oven to create steam when baking. A few of the bakers figured this out and added water, but the rest did not. They all left the dough to prove for an hour, whenever I watch them waiting for things to prove I always wonder why they are not allowed to take a book with them! The bakers weren’t sure where to put the dough during proving, or how to score the top of the bread before baking. I love how such a simple thing, like a baguette, can lead to so much over thinking and confusion! Paul was very brutal during judging and Mary really had to push him to say something nice. Paul, Mat and Nadiya were the bottom three, Tamal came third, Flora came second and Ian came first. Although Paul still wasn’t 100% happy even with the better baguettes! 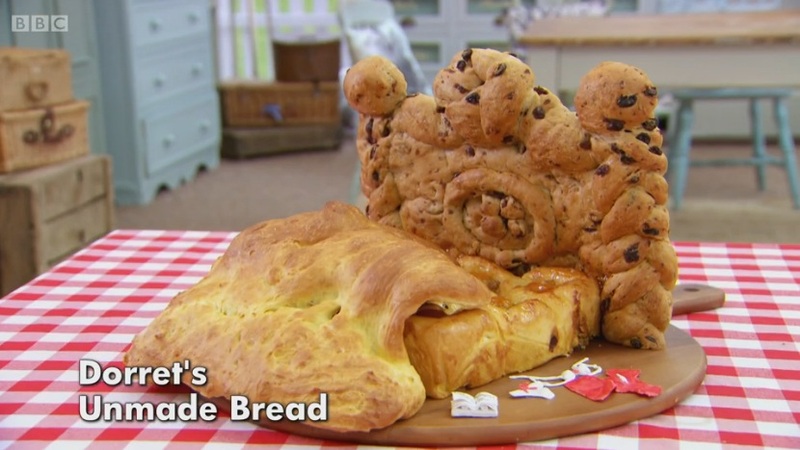 The showstopper challenge was to make a 3D bread sculpture using up to three types of dough, and one of the type had to be a filled bread. A very tricky challenge! Paul Hollywood noted that as dough grows it can loose definition so this was a particularly difficult remit for the bakers. This however, did not affect most of the bakers as they produced some fabulous results! Paul stood out with his brilliant bread sculpture of a lion. I was blown away by how good it was! 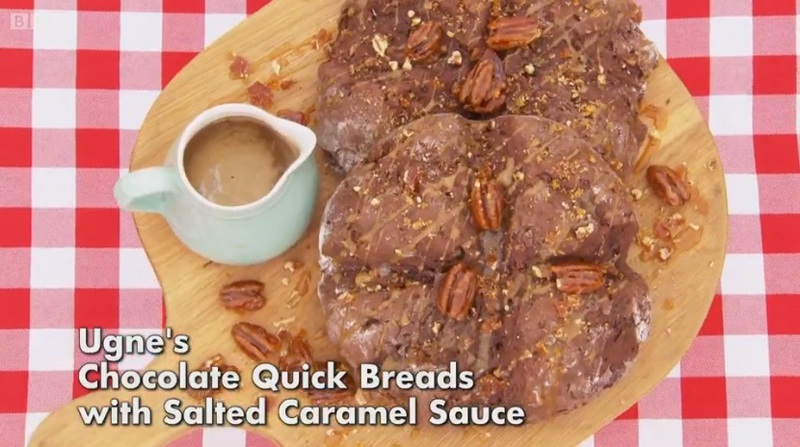 Paul Hollywood said it was exceptional and the best thing he had seen made in bread ever. I also loved Ian’s flower pot sculpture, it was so clever. He brought another home made baking tin with him to make it, such a talented guy! 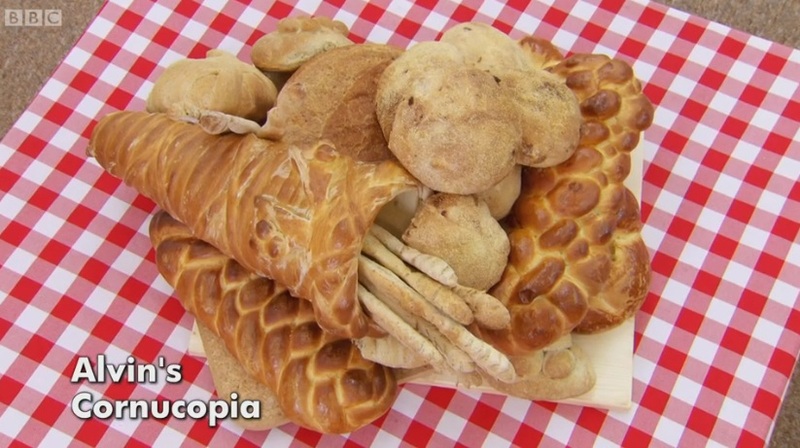 Alvin also made an absolute ton of bread, and he made it all beautifully for his cornucopia sculpture. Paul Hollywood said his bread baking skills were perfect. Tamal made a very impressive bicycle sculpture, which was even more amazing because it stood up. Paul Hollywood called it spectacular and loved his range of techniques. 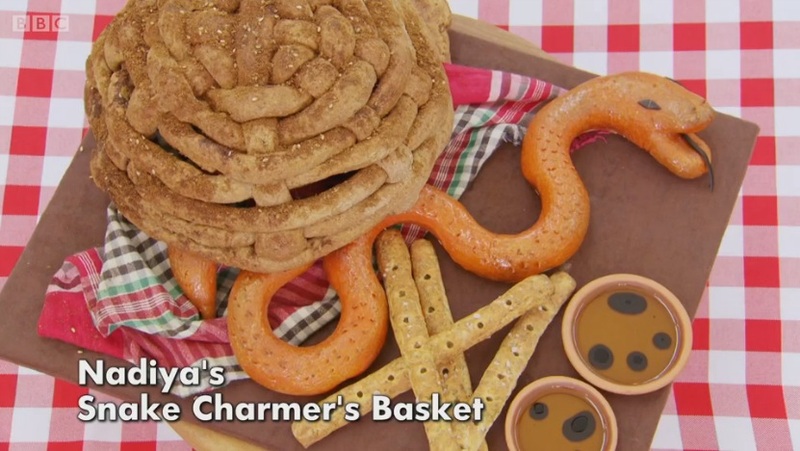 And Nadiya made a fabulous snake coming out of a woven basket. The level of creativity and skill was stunning. Dorret and Sandy didn’t do too well. Dorret’s unmade bed sculpture was not baked through, and Paul Hollywood did not think it looked like 5 hours worth of work. Sandy’s bread sculpture looked messy and was told her pitta bread poppies tasted like cardboard. 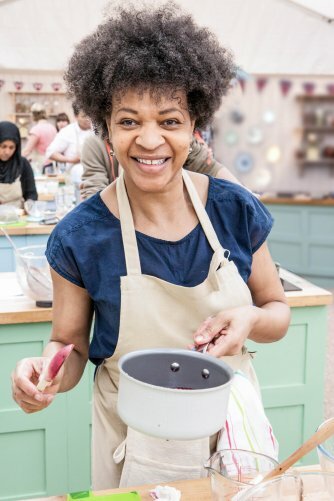 Dorret left us this week, to be honest I have thought she was lagging behind everyone else since the first episode, but she had managed to stay under the radar. With this week’s amazing bakes, hers just could not compete. Ian was awarded star baker for a second week running, deservedly so! 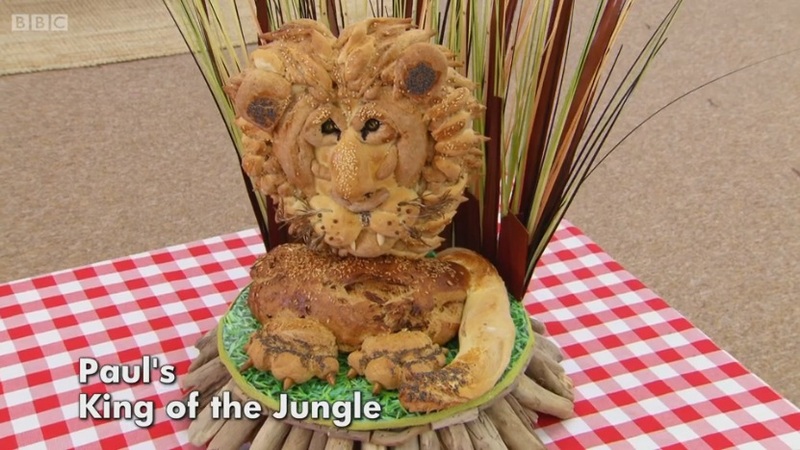 Paul also got a special mention for his lion sculpture as even Paul Hollywood said he would never have attempted something like that. Next episode: desserts! I absolutely loved the sound of Alvin’s quick bread and I found the recipe for it on the BBC website, so I decided to give it a go myself. As it includes meat, I made two of them, one without any prosciutto for my vegetarian boyfriend. I’ll detail the ingredients for just one loaf below, so if you want to make two, double the ingredients. Or if you want to make a vegetarian version, just omit the prosciutto. I started by cooking red onion in olive oil. When it was soft I added balsamic vinegar and soft light brown sugar. I let them simmer for around 15 minutes. The recipe suggested more balsamic vinegar, but when I added half it looked more than enough. I diced up manchego cheese. I’ve never tried manchego before, it’s pretty expensive! But it is very tasty so for a one off recipe I felt it was ok. I also cut up prosciutto. 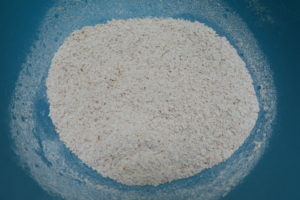 In a bowl I sieved out plain flour, bicarbonate of soda and salt. I rubbed cold diced butter into the flour until it resembled breadcrumbs. 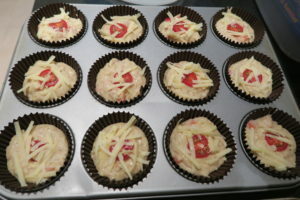 I mixed the cheese, prosciutto and onion into the flour along with a squeeze of basil puree, I reserved a small amount of the fillings for topping the bread. In a jug I mixed buttermilk with water. I added the buttermilk to the flour and brought it together to make a dough. I worked it as little as needed. I shaped it on a lined baking tray, dusted with flour and scored it with a cross down the middle. I topped it with the reserved cheese, onion and prosciutto. I baked the loaf for an hour. It took a bit longer than the recipe suggested. I covered it with foil after the first 40 minutes as it was browning enough. I waited until it sounded hollow when tapped on the bottom to take it out. The kitchen certainly smelled good! I brushed it with melted butter and left it to cool. Well my bread certainly didn’t look as good as Alvin’s! But for a first attempt I was pleased, it was cooked all the way through and it tasted really delicious. My boyfriend loved his vegetarian version too and we both gobbled up a chunk of the bread with some soup. As an office worker I’m always on the lookout for healthy and nutritious lunch ideas. I like things that are easy to make, can be frozen and are transported easily. This Baked Vegetable Omelette fits all those requirements perfectly! Plus it’s also delicious, low calorie, packed with protein and can be adapted to suit different tastes. Simply Health are a company that help businesses to support the health of their employees and they are currently focusing on promoting healthy lunches at work. It’s proven that eating a healthy lunch improves your performance at work, which is the perfect information you need when convincing your boss to get a fruit bowl in the office or to arrange cooking classes for staff! You can read more tips from Simply Health on their website. I started by pre-cooking the vegetables in a pan with a little oil. The spray oil in a can is the best kind if you are watching your calories. 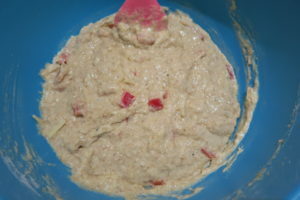 I used spring onions, red pepper, white onion and garlic puree. Then I fried them until they were soft. I used a rectangular dish to bake my omelette in and I brushed it with oil first to ensure the omelette didn’t stick. I find a rectangular dish better as square pieces of baked omelette are easier to portion. To make the Baked Vegetable Omelette I whisked together eggs, egg whites (for recipe to use up the egg yolks click here) and semi-skimmed milk. You can season with salt and pepper at this point to your liking. I tipped the vegetables into the dish, then poured in the egg mixture. I sprinkled parmesan cheese over the top. It baked for 35 minutes until the omelette was golden and didn’t have a wobble to it anymore. I like to eat this Baked Vegetable Omelette with salad and cous cous. When it’s fully cooled you can cut the Baked Vegetable Omelette into squares and you will get 6 good sized portions from it. It can be frozen too and defrosted overnight – perfect to grab and go for lunchtime! For Christmas I was very excited to receive a rectangular shaped ‘Tarte Maison’ tart tin. It’s something I’ve wanted for a while as I love the appearance of tarts in this shape as opposed to circular ones. They look more elegant I think. For the tins first outing I decided to make a Spinach & Feta Tart. I was inspired by Greek food, such as Spanakopita, which is filled with a spinach and feta mixture. The filling varies with leeks sometimes added and different cheeses, so this is my twist on it. I made enough filling for two tarts, which is why it looks a lot more in the photos, but I’ll just give you the amounts to fill one tart. I started by cooking garlic, onion and spring onions in a pan on a medium heat in oil. Once soft, I set them aside in a bowl. I added a drizzle more oil to the same pan and wilted fresh spinach, once it began to wilt I added butter and a sprinkling of nutmeg. When it was all wilted I put it in a sieve over a bowl to drain out the excess water. I pressed it down with a spoon to get plenty of water out. I mixed the spinach with the onions in a bowl. Then I chopped up fresh flat leaf parsley and fresh dill. Fresh herbs are a must for this recipe, the flavour can’t be matched by dried herbs! I added the herb to the spinach mixture and stirred in well. In a separate bowl I weighed out natural breadcrumbs, parmesan, crumbled feta, and crumbled goats cheese. I added the cheese mixture to the spinach and stirred in well. 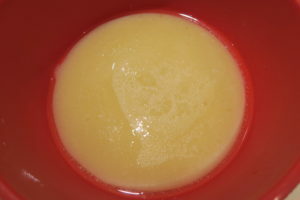 Finally I added egg and mixed it in, as well as some salt to taste. I greased my tin and lined it with the pastry, cutting off any excess and pricking the bottom with a fork. Next I put baking paper in the pastry and poured in some baking beans. I baked it for 10-15 minutes until the pastry started to brown around the edges. I took the paper and baking beans out and baked it again for 5-10 minutes until the bottom looked fully cooked. 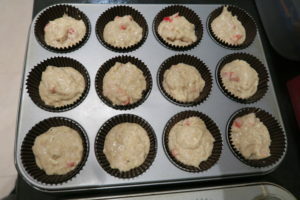 Then I filled the pastry case with the filling and packed it in quite well, filling the tin right to the top. I rolled out the final third of the pastry and cut out strips, using beaten egg as ‘glue’ I brushed the edges of the tart, stuck the strips in a lattice pattern and trimmed the edges. I also brushed the egg white on the bottom layer of pastry where it crossed over. When I was done I brushed the tart all over with the beaten egg. I baked the Spinach & Feta Tart for 20-25 minutes until it was golden brown. I recommend serving the Spinach & Feta Tart with mash and vegetables! However if you’re serving the tart cold it would be really good with salad. Both myself and my boyfriend ate this up quick, it was really tasty. The freshness of the herbs really comes through in the filling and the pastry was perfectly crisp. A delicious week night dinner! You can find more of my Tart recipes by clicking here! 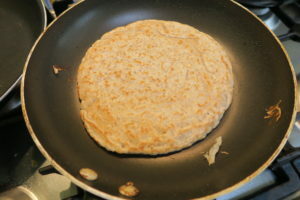 Staffordshire Oatcakes are a traditional savoury pancake from the North of England. You can top them with sweet or savoury toppings and have as a main meal, a snack, or for breakfast. 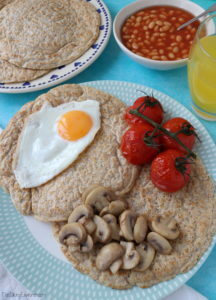 There are a few different variations on oatcakes (Scottish, Derbyshire, Canadian) but they all have the same basic ingredients of oats, yeast and flour. 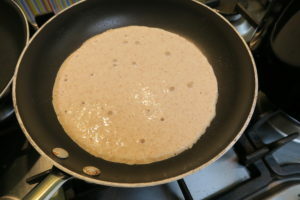 The batter for Staffordshire Oatcakes does have to be made in advance as it has to be left for 1-2 hours for the yeast to develop. You can also leave it overnight in the fridge if you’re having them for breakfast. 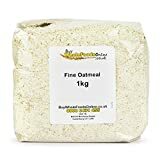 I used a food processor on normal porridge oats to grind them down until they had a finer texture Then in a large bowl I mixed together the oats, wholemeal plain flour, plain flour, yeast and salt. 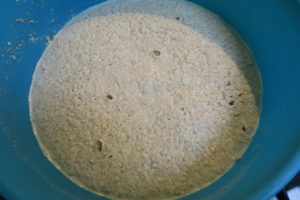 In a jug I mixed the warm water and milk together, then I poured it slowly into the flour mixture and whisked to form a batter. 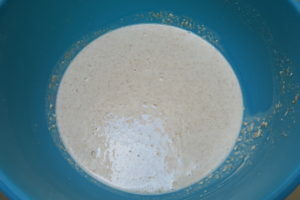 I covered the mixture with cling film and left for just over an hour until bubbles formed on the surface. Using a frying pan on a medium heat I cooked the oatcakes for about 2 minutes on each side until golden brown. The Staffordshire Oatcakes were very delicious and filling. I would say two per serving along with toppings is plenty for the average person. 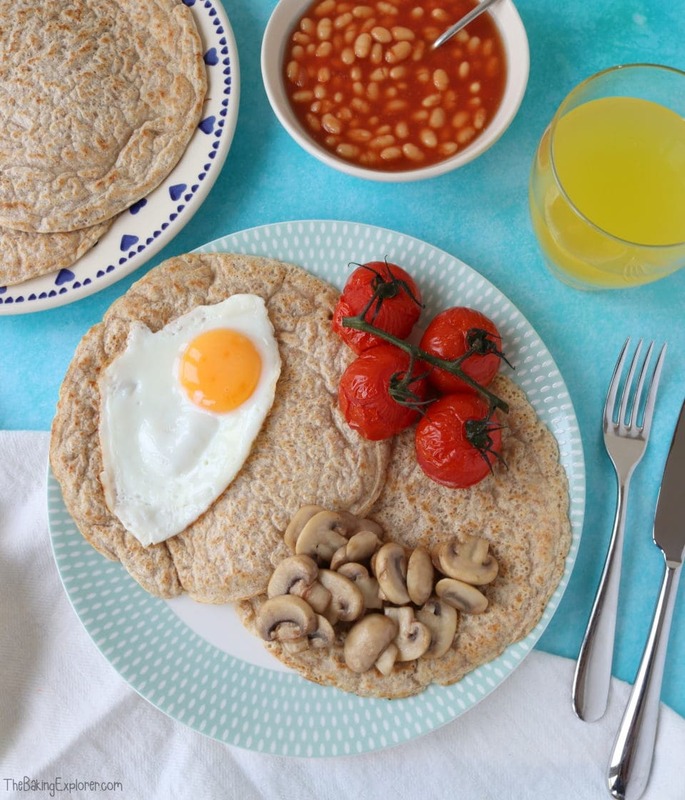 It’s nice to have something a bit different for breakfast, and they are so versatile as you can add different toppings depending on personal taste and dietary requirements. You also don’t have to restrict them just to breakfast, they’d make a great evening meal or lunch too with vegetables and cheese. I hope you enjoy them! You can also serve the oatcakes with sweet toppings like fresh fruit, maple syrup or Nutella!